I was out shopping a few weeks ago and came across these cute little individual pie plates. I had to have them as I am obsessed with pie plates! I have way more than a normal person needs. I like to coordinate my pie plates with what type of pie I’m baking. Crazy, I know, but in my opinion, I think it makes the pie taste better! No, really, it does! But, I have to confess, I used store bought, refrigerated pie crust for these pies. My pie crust making skills are hit or miss and the day I baked, it was definitely a miss. Or a mess, I should say. I’m not a perfect baker yet, I’m afraid. Please feel free to use a homemade pie crust if you’ve got the skills. I hang my head in shame. Anyway, I had the pie plates, I had the berries, and the rest is pie history! 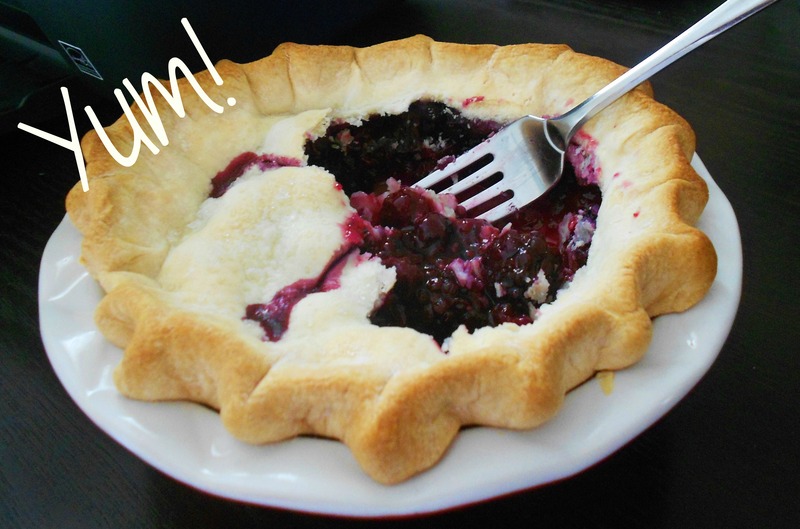 I love the combination of blueberries and blackberries in this pie; the sweetness of the berries, the dark, rich color…..it’s pure berry heaven! I hope you agree! Note: This recipe is for two individual pie plates (4.5 inch) . Pie crust for two 4.5 inch pie plates (4 circles, total) I used Pillsbury refrigerated pie crusts. In a large bowl, stir together the white sugar and cornstarch. Add the blackberries and the blueberries and gently toss the berries into the sugar and cornstarch mixture until evenly coated. Allow the fruit to stand for 15 -20 minutes. Roll your dough out and place one circle of dough inside each pie plate. Trim as needed. 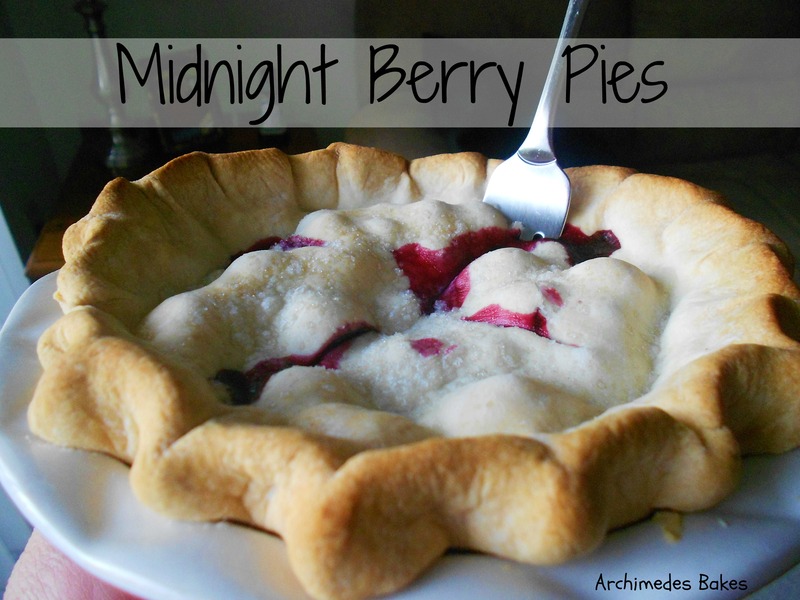 Stir the berry mixture and pour into the pie plates so that you have an even amount of filling in each plate. Place the top crust over the pie plates and trim as needed. Fold the top crust down under the bottom crust, pressing lightly to form a seal. Crimp the edges of the crust and cut a few slits in the top of the pies to create vents, which allow the steam to escape. Sprinkle a 1/2 tbsp of white sugar on top of each pie. Cover the edge of the pies with foil to prevent browning. Place on a baking sheet. Bake for 25 minutes and remove the foil. Bake for an additional 10 – 15 minutes , or until the filling is bubbling and the crust is golden brown. You don’t have to use individual pie plates for this recipe if you don’t have them. A regular, 9 inch pie plate would be fine. Just add another 10 – 15 minutes of baking time on to it.